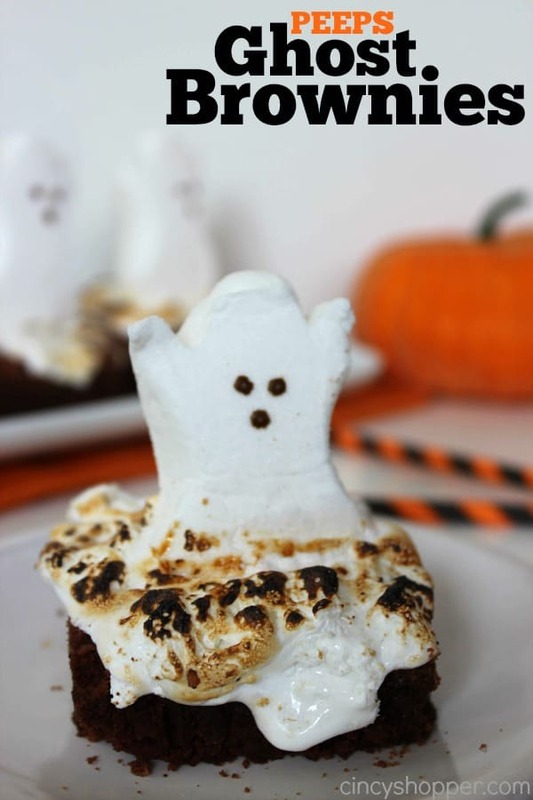 This PEEPS Ghost Brownies Recipe will be perfect for all your Halloween dessert needs this fall. With Halloween just around the corner many of us will need some unique and fun dessert and treat ideas for parties and get togethers. My family loves PEEPS. They love them at Easter and now they can enjoy them all year long since the PEEPS company has been releasing other shapes and flavors. The ghost shaped PEEP has always been one of our favorite PEEPS. They make an adorable addition to many different Halloween treats. TOO CUTE! 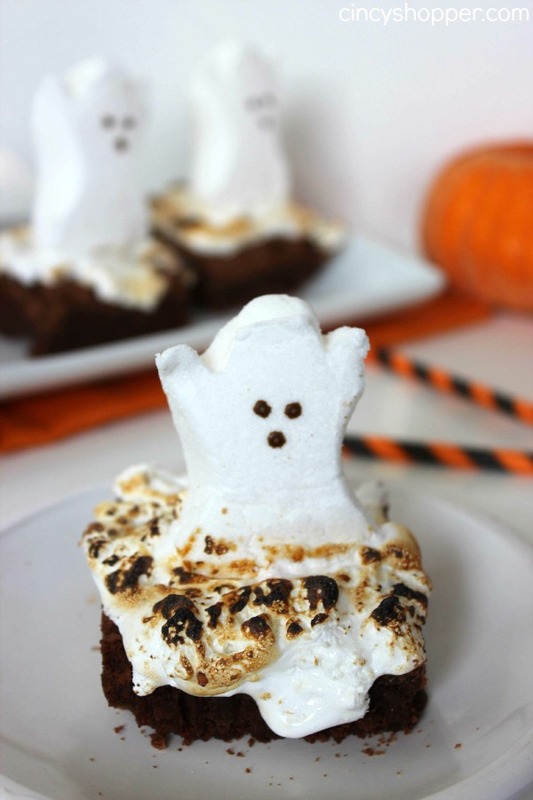 These Halloween PEEPS Ghost Brownies are so simple to make. The marshmallow and the brownie together is just perfect. 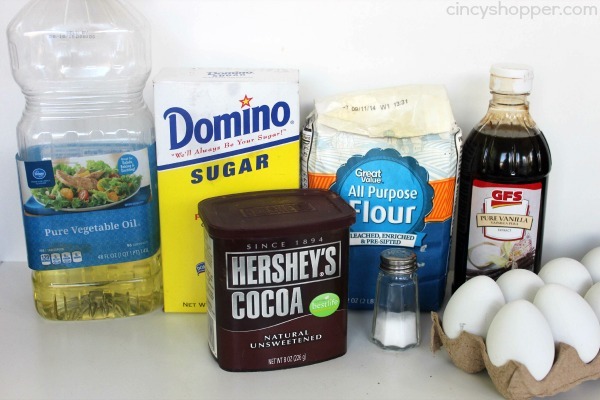 The ingredients for this PEEPS Brownie Recipe are quite simple. 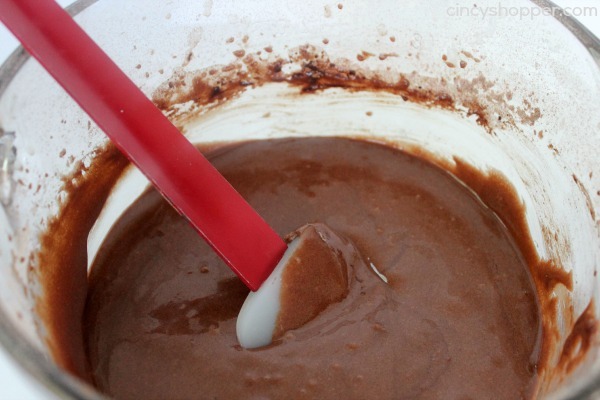 You can make your own brownie mix from scratch or use a store bought boxed brownie too! The marshmallow cream on top is a perfect blend with the brownie and the PEEP. Take a butane torch and brown the marhmallow creme around peep. 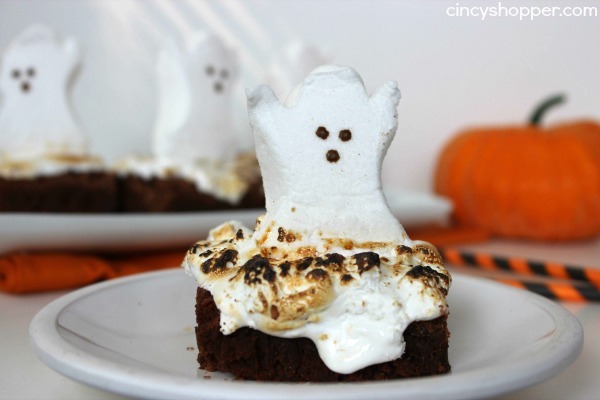 This PEEPS Ghost Brownies Recipe was a HUGE hit with my boys and their friends last week. I made them for a surprise Halloween treat for them to enjoy after school. They commented that they reminded them of a S’more Brownie. I plan to make another batch to take to our play group we are attending next month. These are too cute! An awesome idea for my kids class Halloween party:) Pinned for then! What a cute idea!!!! These look awesome! Your Pepps Ghost Brownies look adorable! Thanks so much for sharing your awesome post with Full Plate Thursday. Have a great week and come back soon!